One of the most influential ways to establish your business’s’ expert authority is through attaining awards. There’s a huge variety you can apply for on both a national and international scale. But how effective are multiple awards when it comes to growing your business? Does it increase your credibility the more awards you receive? Does it attract more ideal clients? Or does it pool you in a red sea of ‘me-too’ businesses? In today’s episode, Marty talks specifically how he has used and leveraged awards (as well as their effect) in his Social Media Marketing Agency; Bad Rhino. If you enjoyed today’s show, make sure you head on over to www.tapsandtees.info and download your free report of ‘No BS,’ game-changing marketing tips and strategies that show you how to blow up your brand online. Beer and Golf are social activities, then why are you struggling with Social Media Marketing. 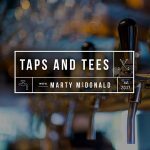 The Taps and Tees Show brings real marketing advice that is making an impact in Craft Beer and Golf World. Short Weekly conversations for people passionate about marketing, golf and beer!